Lamborghinis are iconic luxury cars today. However, they have their origins in the humble tractor — and if Ferraris had worked just a little bit better, Lamborghinis might never have existed at all. 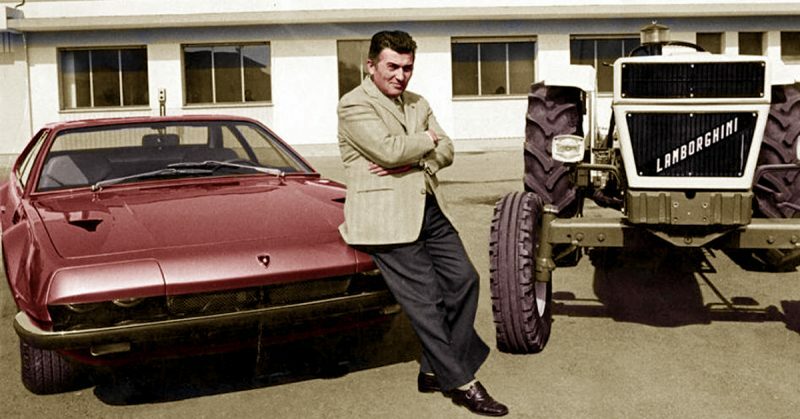 Ferruccio Lamborghini was gifted when it came to anything mechanical. After serving in the Italian army in the 1940s, he came home and opened a garage. According to The Independent, when his father, a farmer, needed a tractor, Lamborghini decided to make him one, cobbling together whatever spare parts he could find. 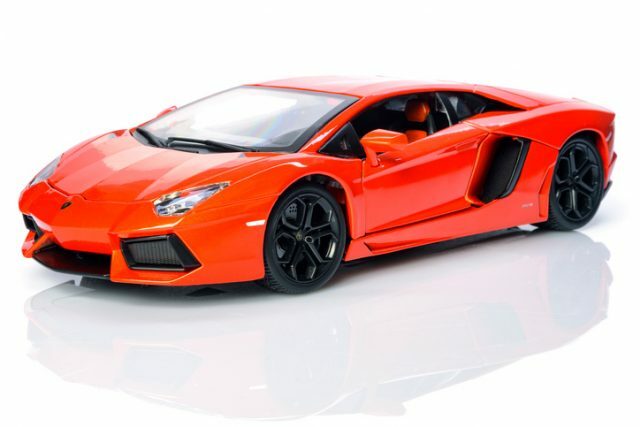 Orange Lamborghini Aventador lp700-4 supercar model car by Bburago. 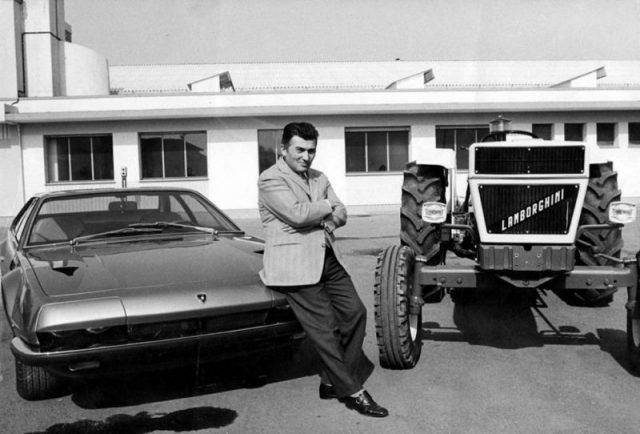 Soon, his father’s friends wanted one too, and in 1949 Lamborghini opened a tractor business, repurposing spare parts from surplus military vehicles into agricultural equipment. Eventually, he went on to also make air conditioners and gas heaters. Lamborghini’s business made him a very rich man and, somewhat stereotypically, he bought himself several high-end sports cars since he’d always loved automobiles. Although he enjoyed them, Lamborghini also felt that each of them had their own issues; one was too hot, another too loud, the next had brakes he didn’t particularly like. When the clutch of his favorite car, a Ferrari 250GT, started giving him issues, he decided to fix it. 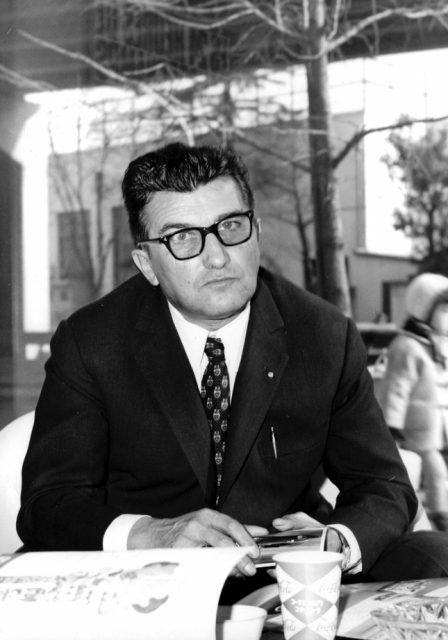 According to Motor 1, he discovered that there was no difference between the clutch in his sports car and the clutch in the tractors he built, so Lamborghini decided to meet with Enzo Ferrari. 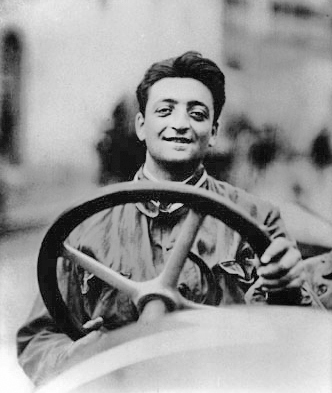 Enzo Ferrari in the 1920s. When the industrialist suggested to Ferrari that they should use a better clutch in a high-end vehicle, he was more or less brushed off and told to stick to the farming equipment he knew best. Lamborghini, inspired, decided to build the sports car that he wanted to own and drive. 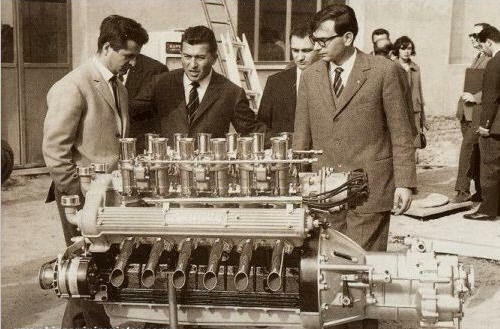 From left to right: Giotto Bizzarrini, Ferruccio Lamborghini and Gian Paolo Dallara at Sant’Agata Bolognese in 1963, with a Lamborghini V12 engine prototype. Although the car was missing its engine at the show because it had not been finished in time, it was well received by critics and Lamborghini continued to amend and improve, making new models regularly. 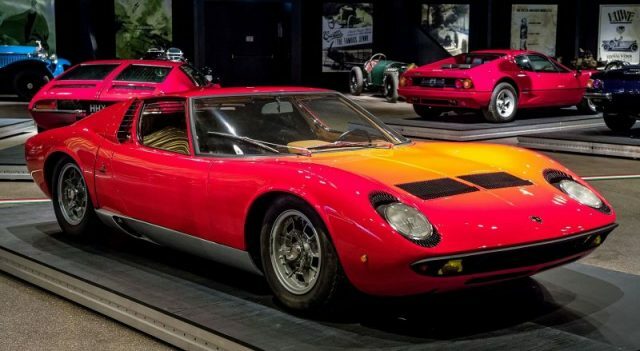 Lamborghini’s 1966 model, the Miura, is called the world’s first supercar, according to Maxim, and ensured that the line of sports cars bearing his name would become the well-known brand that it is today. The car was revolutionary in some aspects, locating the engine behind the cockpit rather than where it had been traditionally located, in front of the windshield. 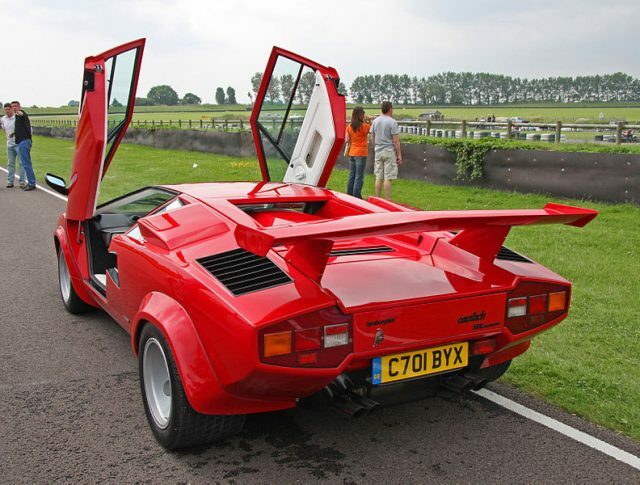 In the 1970s, Lamborghini triumphed again with the iconic Countach, a futuristic-looking car with the doors opening up rather than out as in most cars. Eventually, Lamborghini sold his automobile business after experiencing some issues with his tractor business and retired to his vineyard. The brand continued to make cars while changing hands several times and in the 1990s was purchased by Audi, a part of the Volkswagen group. Automobili Lamborghini has since remained under the Audi brand and continued to be highly successful as well as gaining a reputation for better quality cars than ever before. Lamborghini’s mascot is a raging bull, chosen by Ferruccio Lamborghini because his star sign is a Taurus. Subsequently, many of the brand’s cars are named after specific bulls, breeds of bulls, or aspects of bullfighting, although there are exceptions. For example, the name Countach comes from an Italian expression that translates to ‘Wow!’ or ‘Holy cow!’ However, the Miura is named after a well-known breed of fighting bulls. According to Business Insider, the Diablo, a car that debuted 1990, was named after a bull that participated in an epic drawn-out fight with a matador in 1869. Additionally, the Murciélago, a car from 2001, was named after a bull that was stabbed 24 times during a bullfight but still managed to survive. Lamborghinis have quite a colorful origin story and show that when one experiences rejection, as Lamborghini did at the hands of Enzo Ferrari, it can sometimes motivate that person to create something even better than what has come before. Furthermore, it is inspirational that even from such humble beginnings as farm equipment, world-class supercars can emerge.